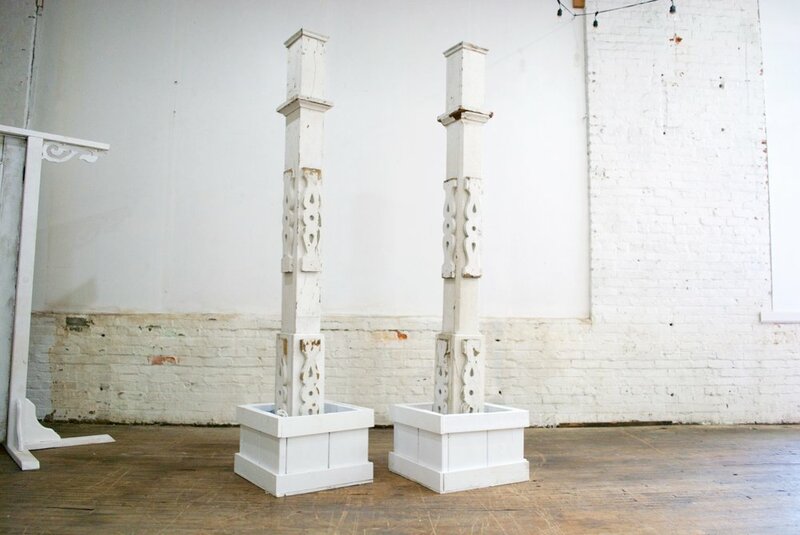 Our White Florist Pillars are antique porch posts with ornate detailing. They make a dramatic feature for behind a ceremony site or flanking an aisle. They fit into floral boxes for added stability.